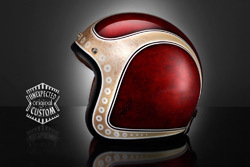 Elegant and sophisticated retro style. 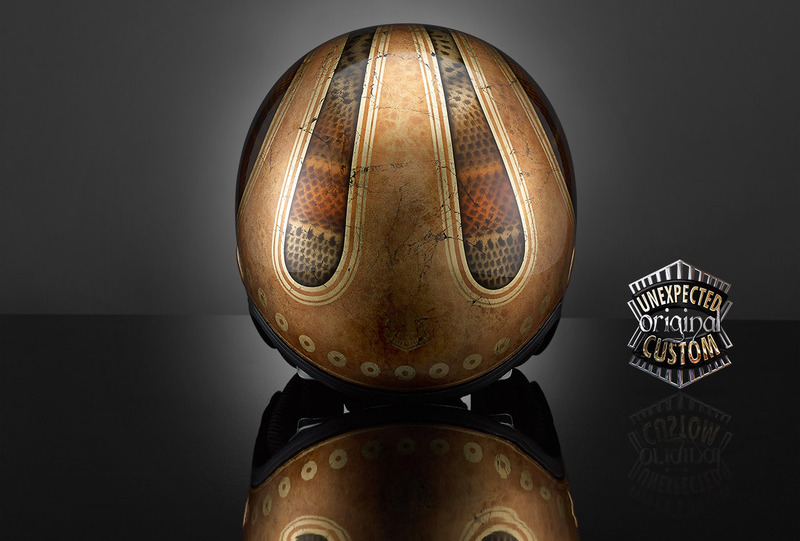 The 'scallops' emphasize the volume and shape of the decorated object creating a vintage style, dynamic and always timeless. 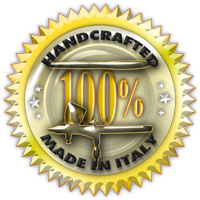 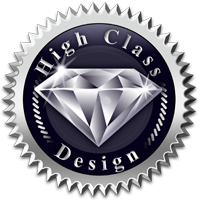 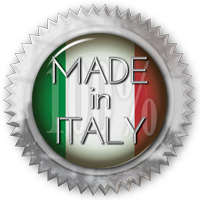 Design by classical inspiration that has always, in all times, pointed out the array of elegant end exclusive high quality products and handworks. 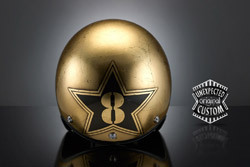 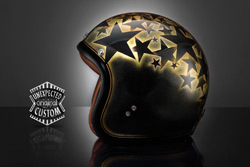 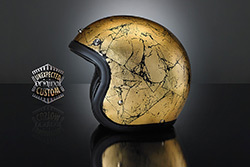 This variant of the design "New Vintage no.1" is achieved with transparent glass colours and custom made sparkle colours in transparency on the cap worked in gold leaf in cracked effect. 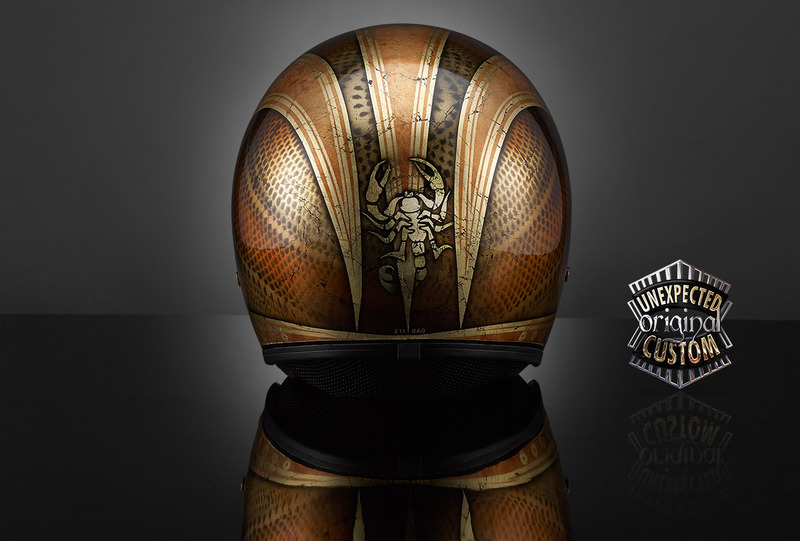 As requested by the customer was included, in concert with the original lines of the design, the logo depicting a scorpion, her zodiac sign. 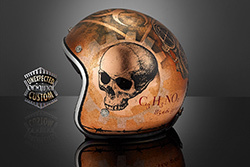 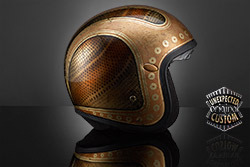 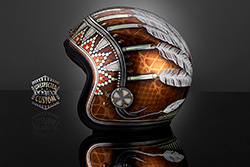 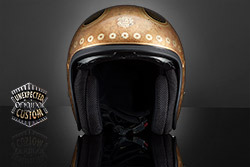 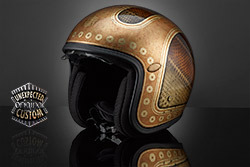 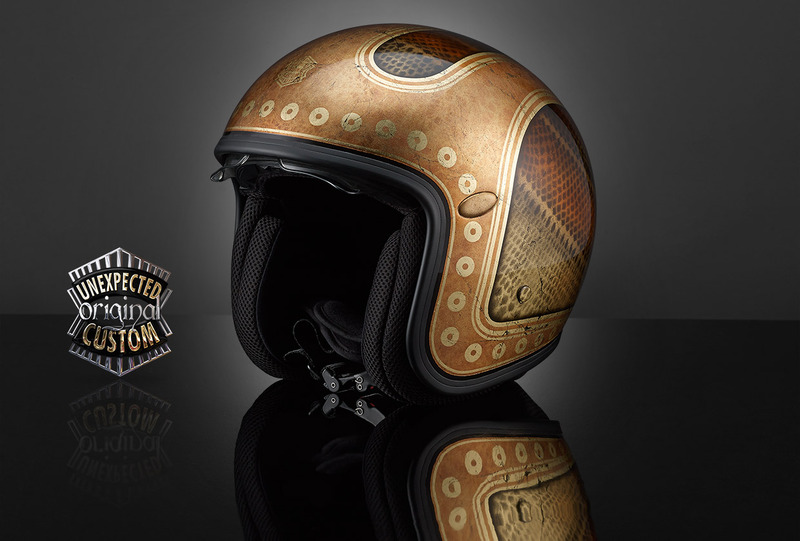 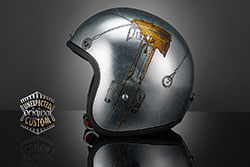 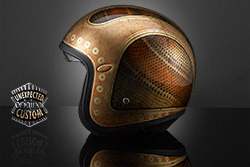 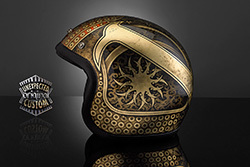 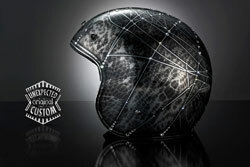 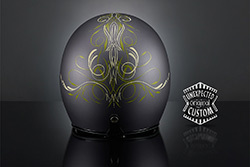 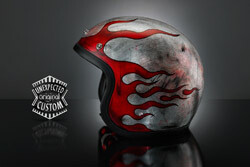 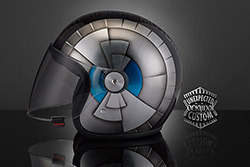 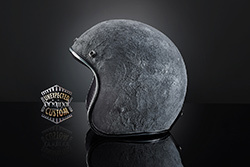 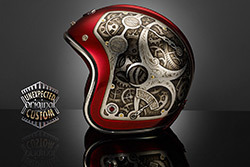 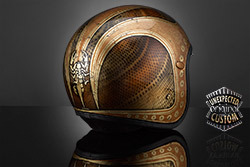 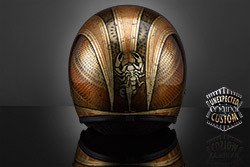 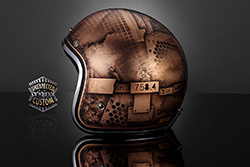 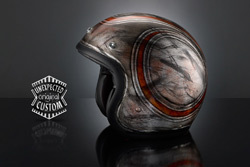 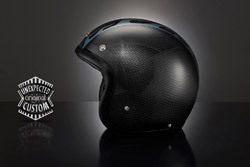 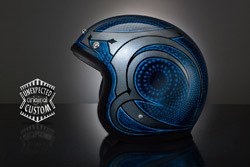 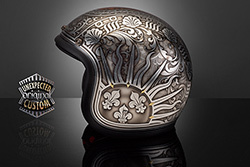 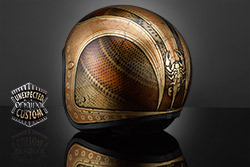 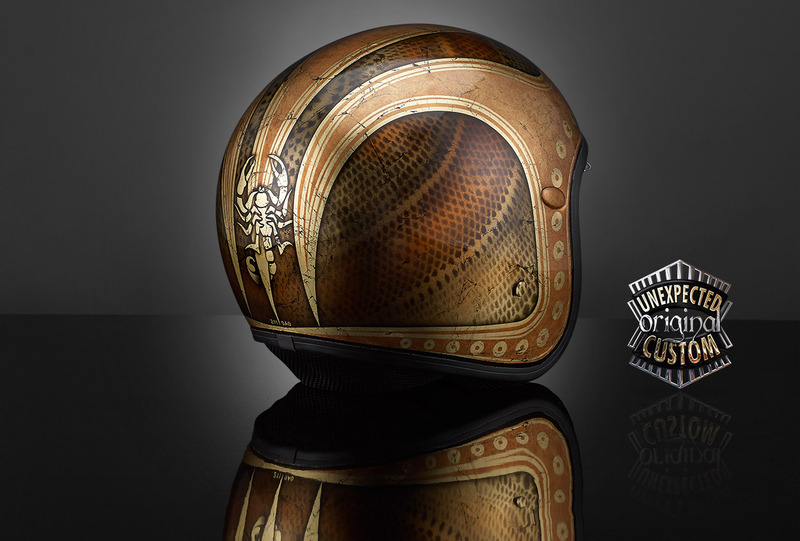 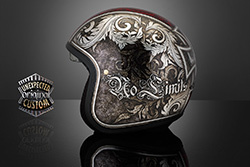 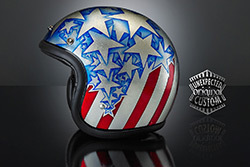 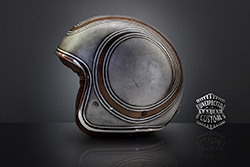 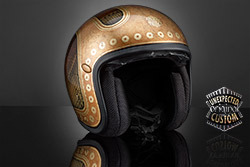 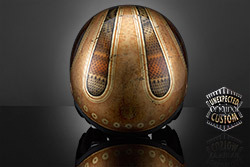 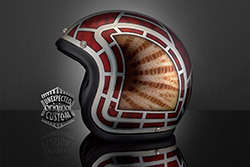 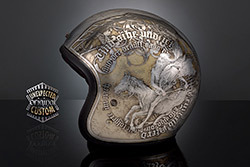 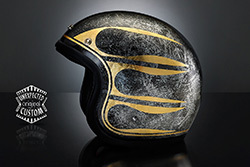 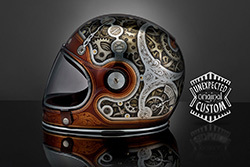 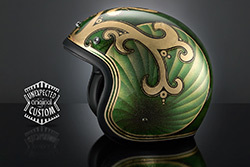 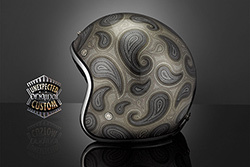 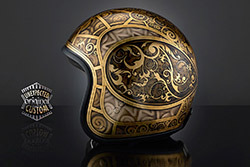 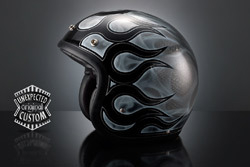 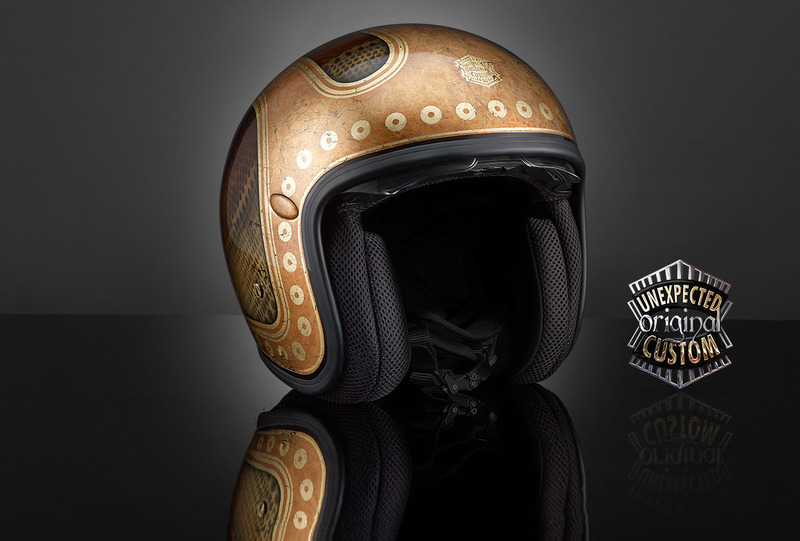 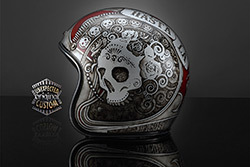 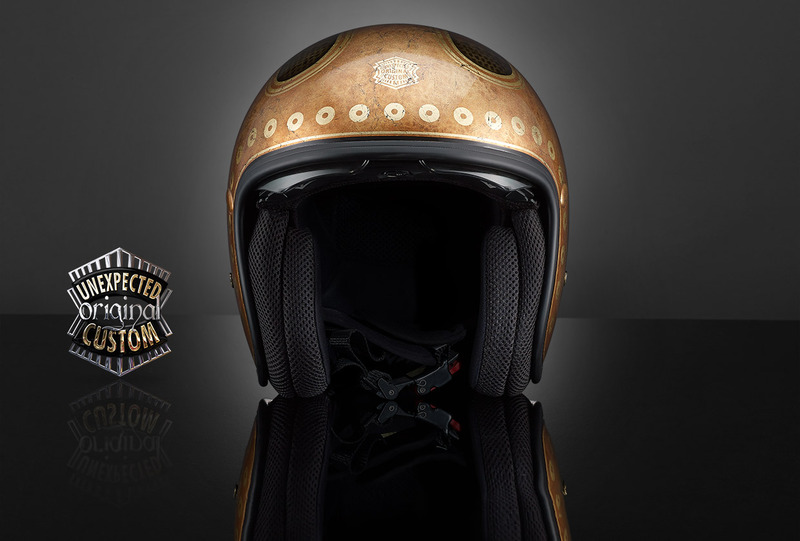 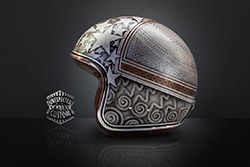 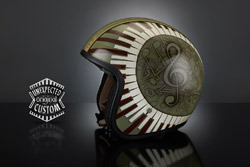 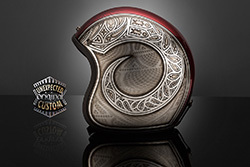 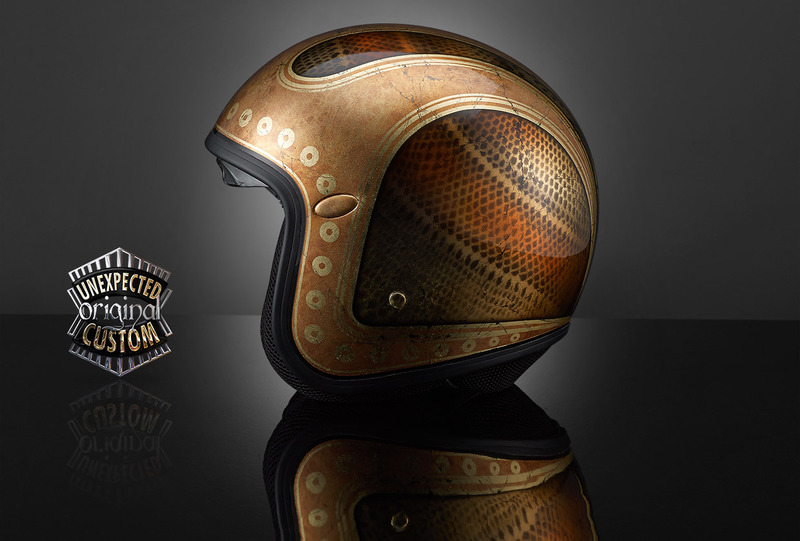 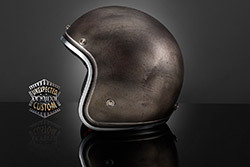 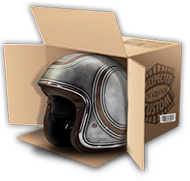 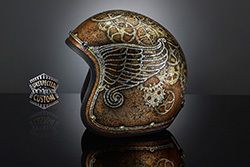 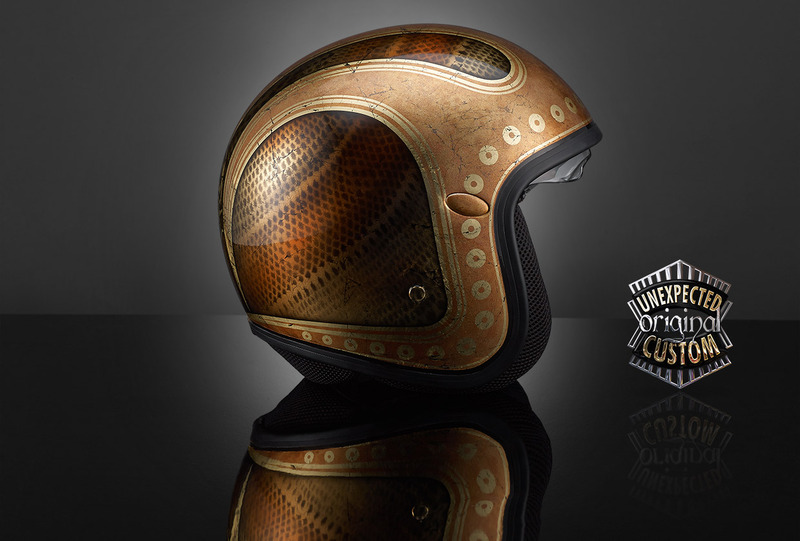 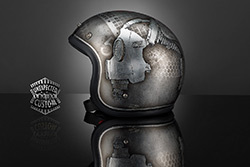 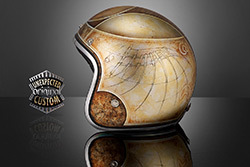 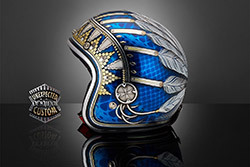 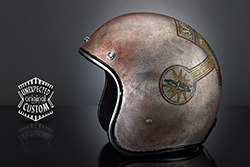 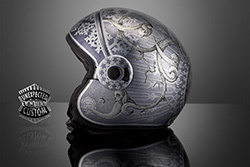 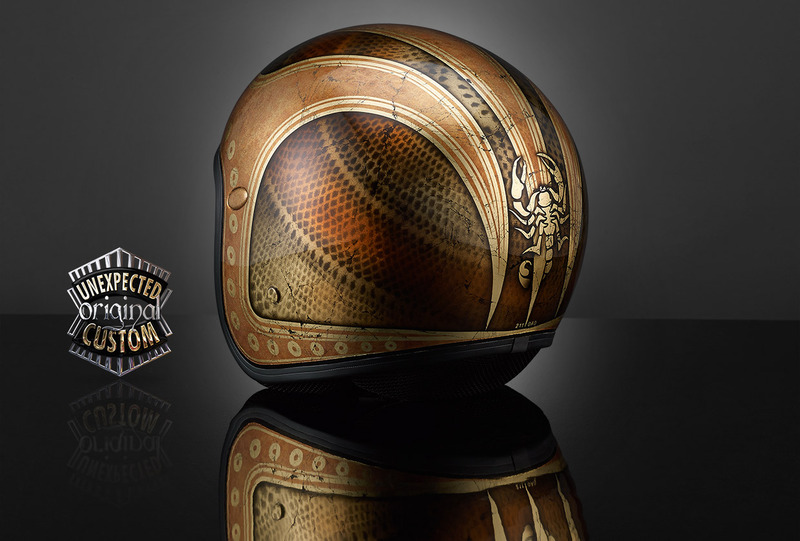 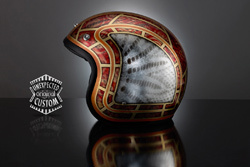 The small emblem accentuates the exclusive customization dedicated to the owner and the uniqueness of the artistic work. 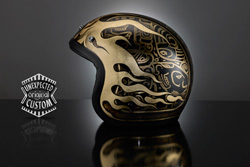 Foglia oro, aerografo, colori trasparenti per vetrata e sparkle.